With moving season quickly heading into full swing, moving supplies are flying out the door at US Cargo Control. And with so many supplies for moving available, it can be difficult to tell if some items are really necessary to get the job done. Magic Sliders are one such essential. 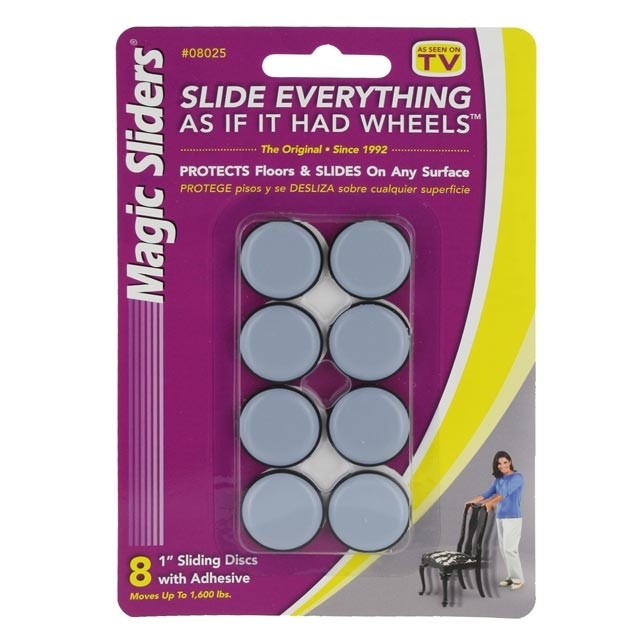 Magic sliders come in both round and rectangular sizes. While these types of sliders for moving furniture were originally designed with adhesive to easily adhere to furniture legs, there’s also now a set that includes screws so you can screw them in to secure for good. What’s great about moving supplies such as moving sliders is that they are something you can keep on hand and use again. They’re nice to have when it comes time to rearrange furniture or when you’re cleaning. And they’re not just for furniture- place some of these super sliders under a large box or potted plant you need to move. You can also keep a set in the garage or work shop to move tool boxes or other heavy items. Are there any moving supplies you’d like to see added to our selection? Please leave us a message below!